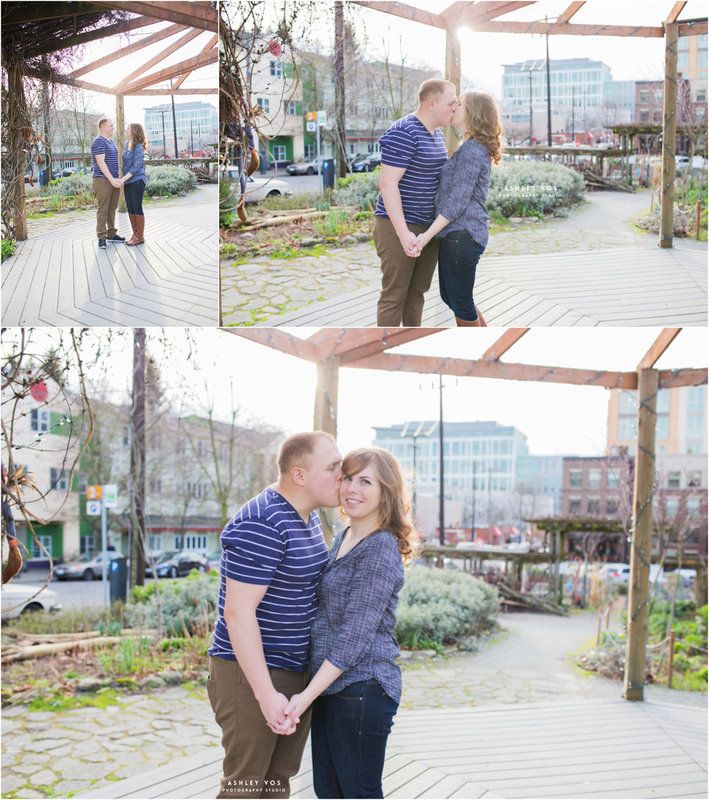 Bridgette and Matt were engaged during our Seattle photo shoot last year. Their big day is almost here, and I'm counting down the days until their California wedding in May. We decided to start the shoot off with coffee at Vivache in South Lake Union, Seattle to chat about the details coming up and final arrangements, and moved onto our shoot from there. South Lake Union is probably my favorite urban place to shoot - tons of variety and secret hiding spots to sneak into and grab the best light. Thanks for letting me capture you two, this is easily one of my favorite shoots so far. I hope you love your photos as much as I do! If you're newly engaged and in the Seattle area - shoot me an email! I'd love to discuss rates and chat about your wedding day!! Thank you for allowing me to be your engagement photographer in the Seattle Tacoma area. If you’re interested in Seattle Area Engagement or Wedding Photography, please contact me as soon as you can. I'm currently booking through August 2014 for portrait sessions of all kinds, and 2015 for weddings. “Like” me on Facebook leave a comment below if you enjoyed the photos! !